Howarth Timber Ltd (Wakefield, U.K) is a long established family run Builders Merchant with branches covering a number of regions, mainly in the north of England. 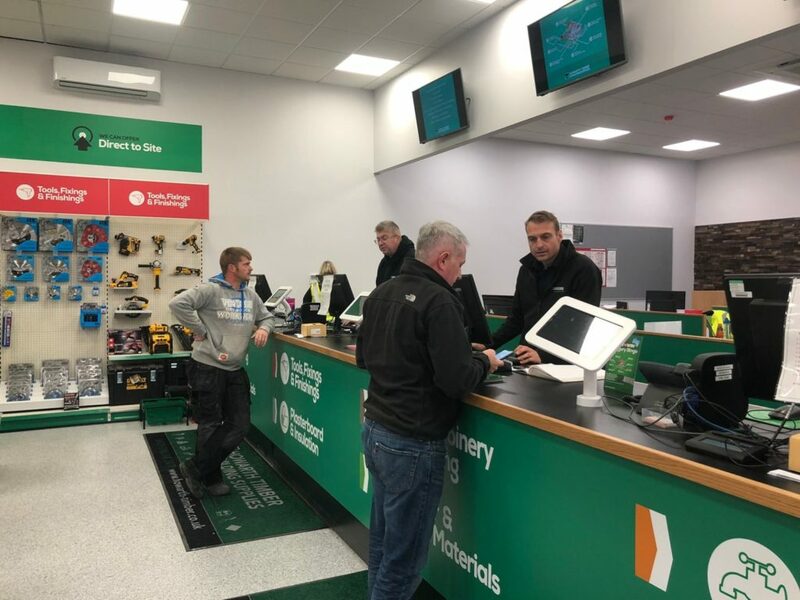 The company have invested heavily in the upgrade and expansion of their busy Wakefield branch with a completely new retail area and kitchen / bathroom showroom. We were asked to provide and install the shopfitting shelving (including specially manufactured items) plus long span shelving and a bespoke 8.4m sales counter in Howarth livery. As with so many projects the first challenge was the timeframe which was quite tight. 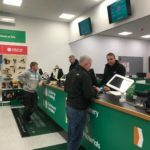 We were able to rely on our own stock to fulfill the shelving element and we worked closely with our own suppliers and the Howarth Branch Manager in order to achieve the delivery deadlines. Everything was supplied and fitted on time and to the client’s complete satisfaction.